On Sunday afternoon the Saginaw Spirit opted to bring an end to the Troy Smith era behind the bench after just one year, three months, and 11 days after it began. Smith was hired on as Saginaw’s head coach in the summer of 2017, replacing Spencer Carbery who decided to leave the Spirit after one season to join the Providence Bruins of the AHL. That one season under Carbery, the Spirit missed the playoffs with a record of 27-32-7-2, six points shy of Sarnia for eighth. Just a few weeks after his departure, Smith was hired as coach of the Spirit. The ’17-18 season was characterized as a rebuilding year for the Spirit. After selling away Mitchell Stephens and stocking up on draft picks the year prior, the Spirit had the youngest roster in the league, averaging 18.60 years of age. But Saginaw managed to fair well with that young roster, improving their record to 29-30-9, qualifying for the playoffs, but were swept by Sault Ste. Marie in the first round. That season served as the rookie year for a number of future key pieces including Blade Jenkins, Nick Porco, Aidan Prueter, and Jake Goldowski. The following months in the summer brought a buzz around the Saginaw region. After drafting Cole Perfetti fifth overall, the Spirit managed to sign and lure him away from the University of Michigan. Not long after, they also announced New York Islanders second round pick Bode Wilde was coming over from the USNTDP program as Jenkins and Goldowski had also both previously done. Complete with a strong showing in preseason, the general consensus was the Spirit were in for a big jump this season. Even so, Smith remained adamant the Spirit still had a lot of growth to go through. “This group is only starting out here. We have some growing pains to go through but it’s definitely exciting with the level of talent we have here,” Smith told THW’s Mark Sheig back in early October. Clearly Saginaw’s front office doesn’t see it the same way. After an 11-9-1-1 start, Smith was fired with his team stationed fifth in the western conference, a three spot improvement from the pervious year. Collectively, Smith’s record with Saginaw stands at 40-39-10-1. Saginaw have sent a clear and direct message with the dismissal of Smith. They believe they’re better than a fifth place western conference team, and GM Dave Drinkill expects better out of his group. Even after seeing improvement over the last two seasons, patience has seemingly worn thin in the front office. Since joining the Spirit via the Barrie Colts for the ’15-16 season, Drinkill has employed five head coaches. After firing Greg Gilbert in February of 2016, Moe Mantha was hired as an interim replacement. He was then replaced by Carbery for ’16-17. Now after 90 games as head coach, Smith is replaced by Chris Lazary, someone who’s had a front seat to Saginaw’s development over three seasons. Lazary joined Saginaw as the associate coach to Carbery in ’16-17 after two years on the bench in Sarnia. Prior to that, Lazary had stops with St. Michael’s and York university as an assistant, and was the head coach of the Waterloo Siskins for a season in ’13-14. Now he’s promoted on a Spirit team which is looking for immediate results. Lazary is expected to make his head coaching debut on Thursday against the North Bay Battalion. He’ll be looking to turn around from a weekend which saw Saginaw lose 5-2 to Kitchener, then 5-1 to the Windsor Spitfires. According to most, those were the results that was the final straw for Drinkill to pull the trigger. Some would say Smith played as much of a factor in Saginaw’s recruiting this summer as Drinkill did himself. Perfetti eluded to the coaching staff when telling THW’s Mark Sheig, “The dressing room and the coaching staff are the best. I just thought that if I wanted to go to the NHL the Saginaw Spirit would be the way for me to get there.” Whether Saginaw will be able to effectively recruit players without Smith and reputation of impatience with coaches will be two major questions moving forward. The move now applies pressure on the players to perform and find results immediately. With Drinkill being so quick to cut Smith, it’s not a stretch to imagine him trading away more players as he did with Max Grondin if Saginaw can’t attain his expectation. 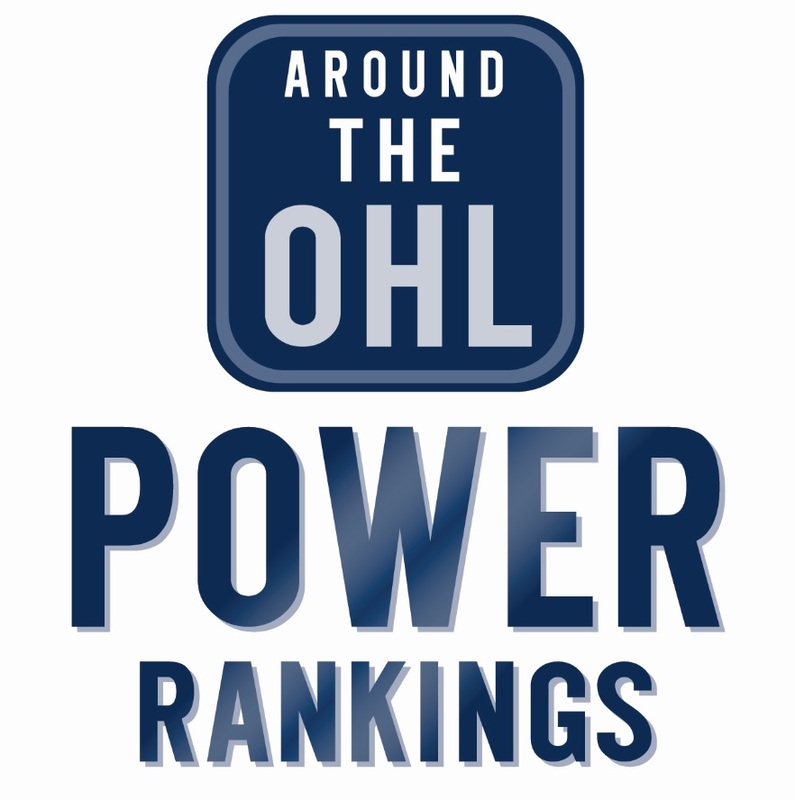 Tags: Bode Wilde, Cole Perfetti, Dave Drinkill, OHL, OHL Coach, Saginaw Spirit, Troy Smith. Bookmark the permalink.